It’s here. The most magical time of the year. 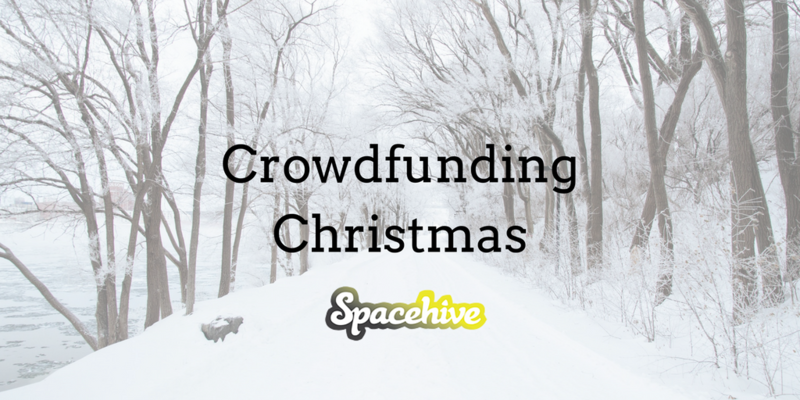 And at Spacehive HQ we’re here to help you crowdfund your Christmas dreams into reality. Every day in the lead up to Christmas we’ll be sharing a creative crowdfunding tip on our social media channels – Twitter, Facebook and Google+ – in our very own advent calendar. Check in each day for the latest advice or come back here to see our calendar come to life. For the complete guide to crowdfunding on Spacehive, get your copy of our ebook here. Or come along to one of our workshops or webinars – find out more and register for our upcoming events here. From Christmas lights to parades and pantomimes, some of our favourite projects on Spacehive celebrate the festive season. Check out these three great projects fundraising for a very merry Christmas. Help support a day-long festive celebration of community, togetherness and the magic of cinema in Croydon. Give them a Christmas pledge! The 25th anniversary of the Portobello Panto, will be The Snow Queen, directed by Anna Chancellor. The ‘Real Change’ campaign is raising funds for charities (Night Light Winter Shelter and Shower Room) who provide help and support to those people sleeping on the streets in Basingstoke and Deane.